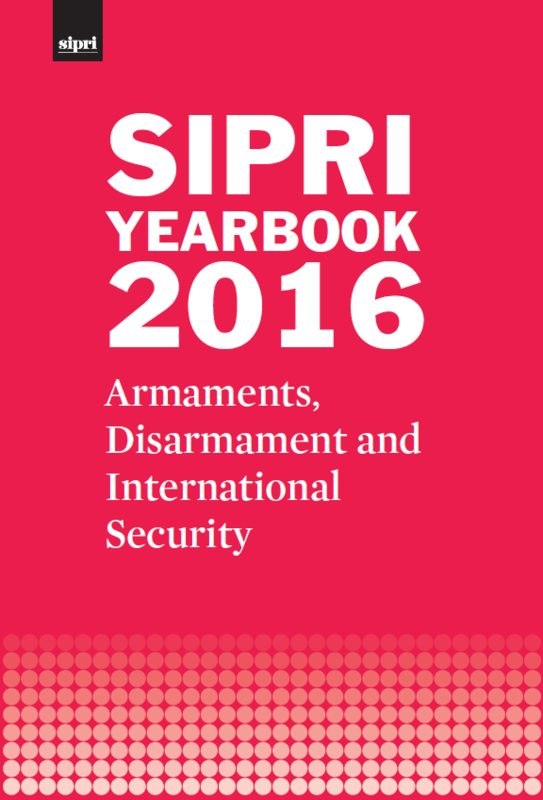 SIPRI celebrated its 50th anniversary in 2016 against a backdrop of major shifts in global peace and security. This blog post presents some of SIPRI's key moments during the past 12 months. The impacts of climate change pose broad and complex security risks. Policy communities, including foreign affairs, defence, environment and development, must respond by incorporating climate-related security risks in their work. The SIPRI report Climate-related Security Risks: Towards an Integrated Approach suggests concrete steps to achieve this, and was launched at the Swedish Ministry for Foreign Affairs in December. With around 9% of the world's population but 27% of all recorded homicides, states in Latin America and the Caribbean are working to improve arms control instruments, such as the Arms Trade Treaty. SIPRI aims to support states in this task by providing an online database of Arms Trade Treaty-relevant activities in Latin America and the Caribbean. SIPRI provides the only long-term, historically consistent series of military expenditure data with global coverage available today. This topical backgrounder looks at how and why SIPRI invests time in this endeavour. The CTBT: How can we prevent a new era of nuclear testing? 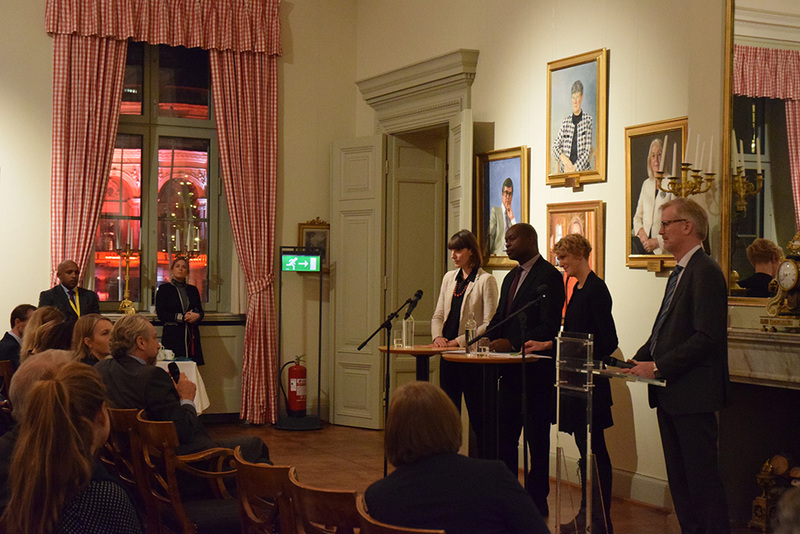 SIPRI in cooperation with the Swedish Ministry for Foreign Affairs will host an event on the Comprehensive Nuclear-Test-Ban Treaty as a pillar of the global nuclear disarmament and non-proliferation regime. The event will be opened by State Secretary for Foreign Affairs Annika Söder, and moderated by SIPRI Director Dan Smith. Key-note speakers will be the Executive Secretary of the Comprehensive Nuclear-Test-Ban Treaty Organization, Lassina Zerbo, and former Minister for Foreign Affairs and IAEA Director General Hans Blix. The event will be live-streamed. Russia increasingly views its relationship with China as a ‘strategic’ one, while China has begun to view closer links with Russia as an opportunity. This workshop looked at the evolving nature of Russia–China relations in areas including energy and resources, cyberspace, conventional arms trade and nuclear weapon modernization. SIPRI is looking for a Senior Researcher and Activity Coordinator to work as part of the team on the project 'Building Sustainable Peace in Mali'. This SIPRI insights paper seeks to take the current dyadic approach to US–Chinese competition in the field of hypersonic glide vehicles and to insert Russia as a factor that is shaping China’s views on the subject. Presenting the key takeaways from 872 of 1,675 surveyed Chinese-language texts, the author reviews more than a decade of research on hypersonic and boost-glide technologies, revealing a growing Chinese interest in Russia. This working paper aims to clarify some basic understandings about autonomy: what it is, how it applies to weapon systems, how it works, how it is created and what the key technological enablers are. It is based on a substantial review of the literature as well as a background series of interviews with experts from various expert communities. This working paper explores the ‘innovation ecosystem’ that is driving the development of autonomy in weapon systems. It maps out where relevant innovations are taking place from three different perspectives: (a) a science and technology perspective (the field of research and development, R&D), (b) a geographical perspective (the location of key R&D institutions), and (c) a sector perspective (whether innovation is driven by civil or military research). the implementation of the Sustainable Development Goals.